Castel di Luco, is located in the Aquasanta Terme area of the Marche, just a few minutes drive away from the city of Ascoli Piceno. The Castle, having remained almost completely unaltered since its construction in the middle ages, is considered to be one of the finest examples of medieval fortresses in the Piceno area. Although its is not certain exactly when the castle was built, documentation in the form of a papal seal issued by Pope Leone IX and now housed in the archives of Ascoli Cathedral, demonstrates that it already existed in the 11th century. Over the centuries the castle gradually lost its defensive function to become the palatial residence of the local nobility. At the very start of the 19th century, the castle became the property of the Amici family. Today, the castle is admired by visitors from all over the world. 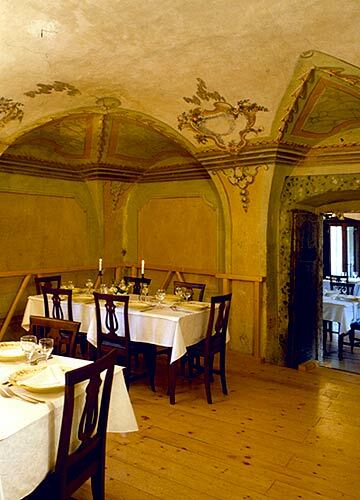 Guests are guided on a fascinating tour through the fortresses imposing halls, to a superb 18th century dining salon in which to savor the flavors of the finest local cuisine beneath ornately decorated vaulted ceilings. 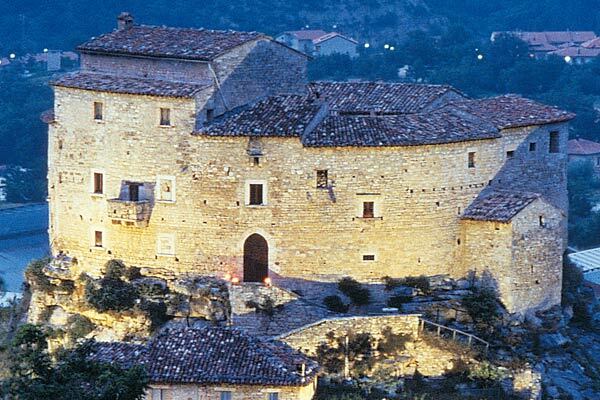 Those wishing to stay at Castel Luco sojourn in the tiny medieval hamlet at the foot of the castle. 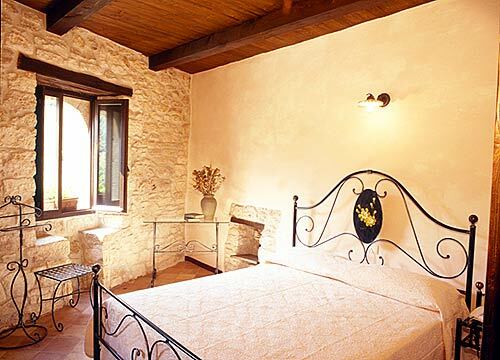 Here, Laura and Francesco Amici offer unique guest accommodation in a carefully restored building dating back to the 1400's. A total of 4 suites provide simple yet extremely stylish spaces where to relax and soak up the inimitable atmosphere of the Castel di Luco. 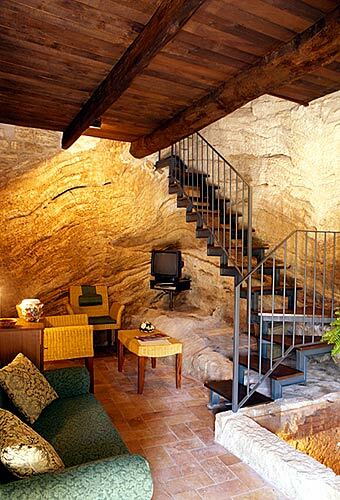 Original architectural features such as ancient brick paving stones, travertine walls, and wooden beamed ceilings combine with modern amenities to ensure the rooms' immense appeal. Breathtaking views of the surrounding countryside can be enjoyed from the windows of each and every suite. Castel di Luco is situated in one of the fractions of the Acquasanta Terme district. Bus services from Ascoli Piceno, Pescara, Ancona and Rome all stop close to the hotel. 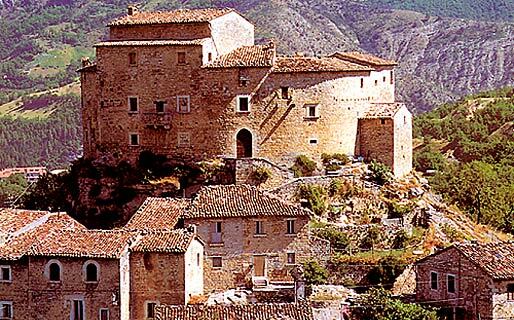 Castel di Luco is located in an area of the Marche home to the Sibillini Mountains, the National Park of Abruzzo, the Tronto river, and the Gole del Garrafo, but also the city of Ascoli Piceno. The Adriatic coast and famous seaside destinations such as San Benedetto del Tronto and Grottamare are within easy driving distance from the hotel. The closest airport is that of Ancona Falconara, whilst the nearest railway station is situated in Ascoli Piceno.